In an attempt to bring a new unified sound signature that offers quality performance at a budget price, Klipsch has begun what it calls its “global initiative” to align its audio products under a single branded ‘Reference’ series. The company today unveiled six sparkling new speakers and two subwoofers in the series, all set in sleek black cabinets and priced to land comfortably in your living room. Each of Klipsch’s new Reference home theater speakers are packed with goodies from the Klipsch tool box, including its Linear Travel Suspension (LTS) aluminum tweeters, and its patented Tractrix Horn technology, bringing the famed Klipsch sound, with a subtle, yet accurate approach. 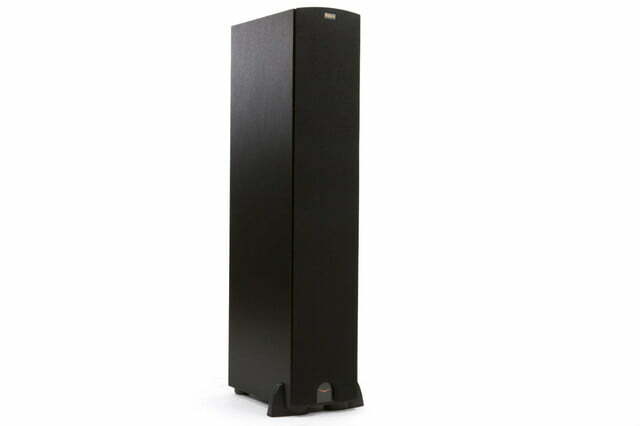 The new speakers come in two sizes for the floor standing speakers, the R-28F and R-26F, two for the shelf speakers, the R-15M and R-14M, as well as the new R-25C center channel, R-14S surrounds, and both a 12 and 10-inch subwoofer in the R-12SW and R-10SW. The R-28F’s little brothers, the R-26F still pack some heat, offering a slightly smaller reflex cabinet design, with dual 6.5-inch copper-spun woofers and the same 1-inch LTS aluminum tweeters we’ll likely see spread around the entire collection. Like the rest of the line, they come in black and … black. 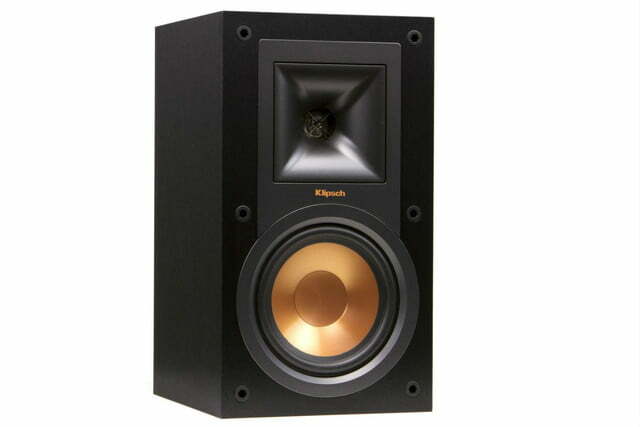 Klipsch’s new Reference monitors are gorgeous to behold, and should pack some solid sound performance for their extremely friendly price points. Both sizes offer the ubiquitous 1-inch LTS aluminum tweeters. The R-15M pack 5.25-inch copper-spun IMG woofers, while the R-14M drop mini-me 4-inch bombers, both in bass reflex cabinets. We’d recommend you go ahead and splurge for the 5.25-inch size if you’re just picking up the pair on their own for a stereo set-up — they’ll produce more bass and a generally more open sound with a wider soundstage. Is anyone else getting a duracell vibe here? 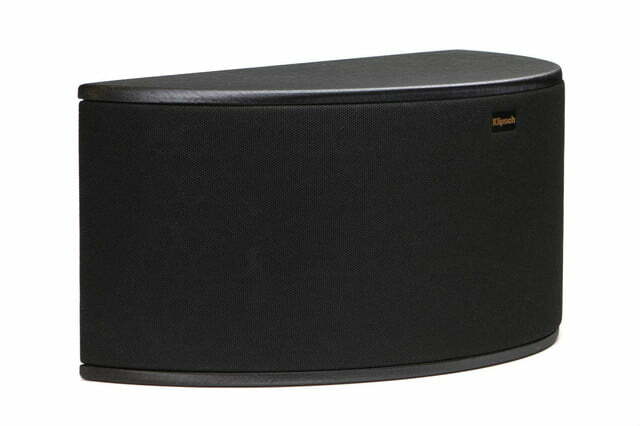 The R-25C center channel speaker offers a double shot of Klipsch’s 5.25-inch copper-spun IMG woofers, and yes, the 1-inch LTS aluminum tweeter. 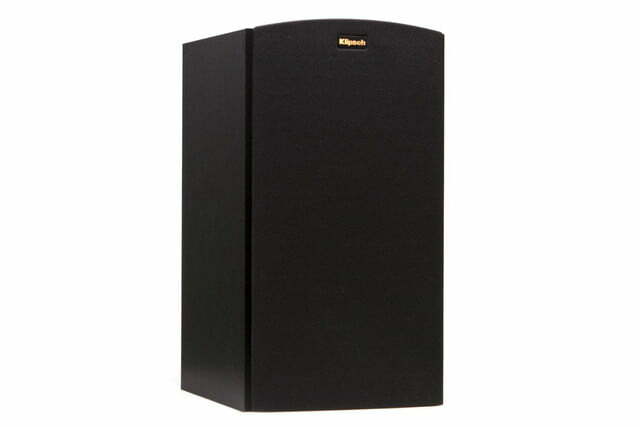 But unlike the shelf speakers above, the R-25C comes in a sealed-enclosure cabinet which will keep bass tight if the speaker has to be placed into another cabinet. The R-14S feature dual 1-inch LTS aluminum tweeters, with a 4-inch copper-spun IMG woofer placed between them. 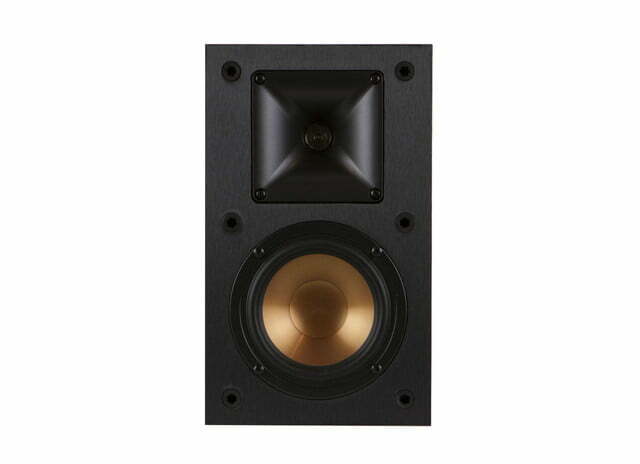 , This allows Klipsch’s Wide Dispersion Surround Technology (WDST) to go to work engulfing the back end of your show room in a bubble of convincing surround sound. 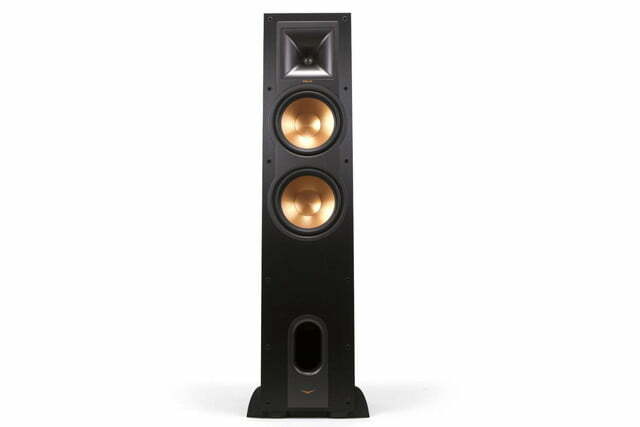 The speakers are designed to be non-directional, so they’re best for surround systems designed around movie watching. 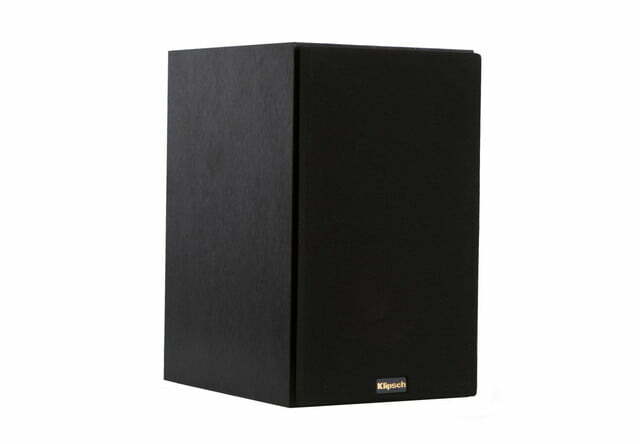 Surround music enthusiasts may want to look back at the R-14 monitors for a less dispersed-sounding surround option. 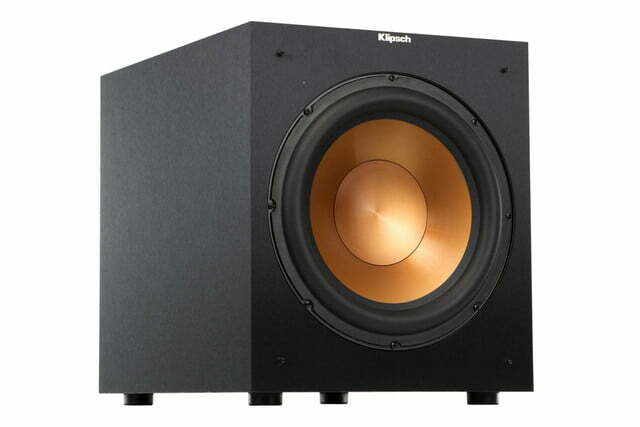 Finally, Klipsch has unveiled the final pieces to its new Reference series in the form of two brand new subwoofers. 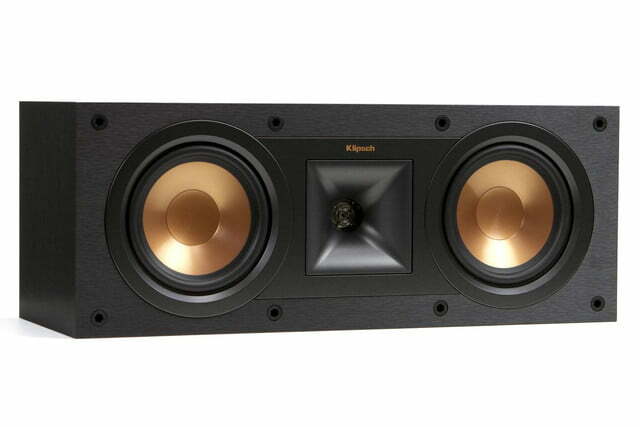 The R-12SW offers 400 watts of earth shaking amplification to power its front-firing 12-inch copper-spun cone. It also includes an adjustable low pass crossover, phase control, and a line/LFE input, set in a ported cabinet. The R-10SW sits just a notch below its mightier sibling, offering a still-beefy 10-inch copper-spun driver, and a 300 watt amplifier. 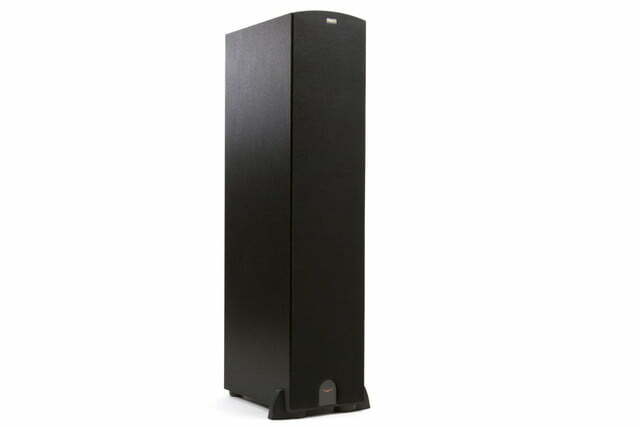 Like the R-12S, it is set in a front firing configuration within a ported cabinet, and offers low pass crossover, phase control, and a line/LFE input. 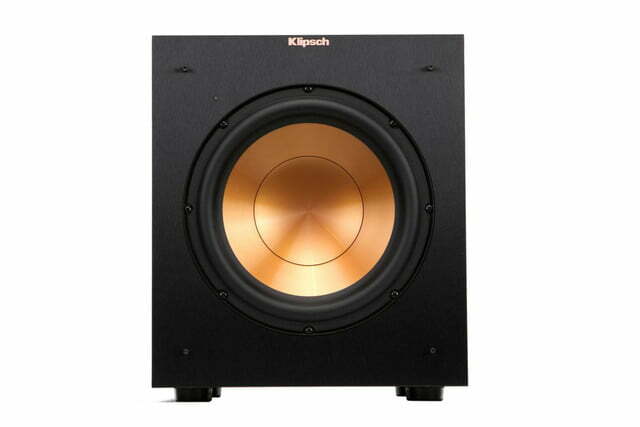 All of Klipsch’s new speakers are locked and ready to ship. 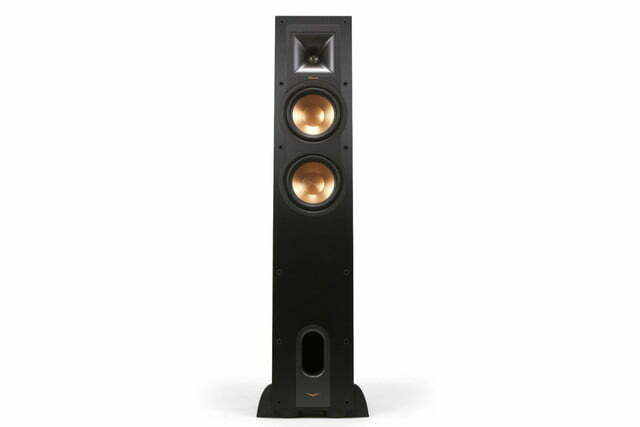 If you’re looking for a shiny new way to make your home theater sing, you can pick up any or all of the new pieces in the Reference family at authorized dealers, or at Klipsch’s website today.